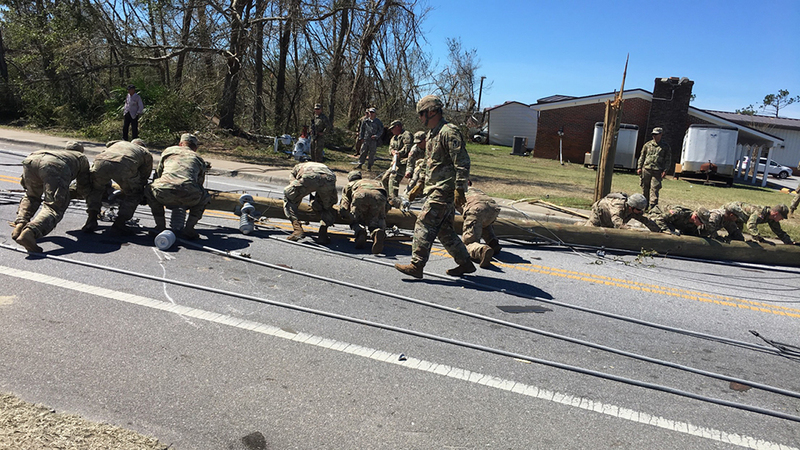 Blain Roberson's National Guard unit recently assisted in disaster relief efforts post-Hurricane Michael. Roberson is a health sciences student in the College of Health Professions and Sciences. 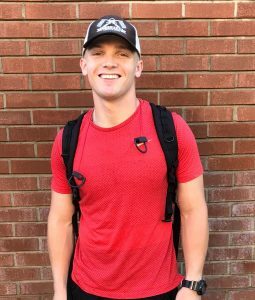 Blain Roberson, a UCF health sciences student, was recently called into duty by the National Guard to assist in emergency response efforts in Panama City and Lynn Haven following the devastating damage caused by Hurricane Michael. Roberson’s unit, Bravo Company 2nd Battalion 124th Infantry Regiment, comprises people from all walks of life and who work in all different industries. Roberson said his unit ranges in age from 18 to 50. “Though we are all extremely different, we all share the drive to help others,” Roberson said, who spent more than a week helping residents. Humberto López Castillo, assistant professor in the College of Health Professions and Sciences, said he was surprised when Roberson, a dedicated student who never missed class, did not show up one day.